Mixed Use Center in London incorporating a museum, housing, day-care, library, hotel, cafe, and a regulation lawn bowling turf. A vertical studio option taken as a junior that was fast paced and intensely pragmatic. Daily study models and working drawings offered a process of iteration that led to an extremely developed and intricate design. This pivotal project in my academic career can be viewed best as an exploration of architectural devices that I find continuously re-occur in my design processes. Exploration began with close examination of program relationships and functions within the urban context of London. The mixed use program consisted of both public and private amenities and also called for a regulation lawn bowling arena. The program nestles around the lawn bowling court. The 9 week design period had an intense focus on formal diagramming through plan development as well as progressive spatial models. 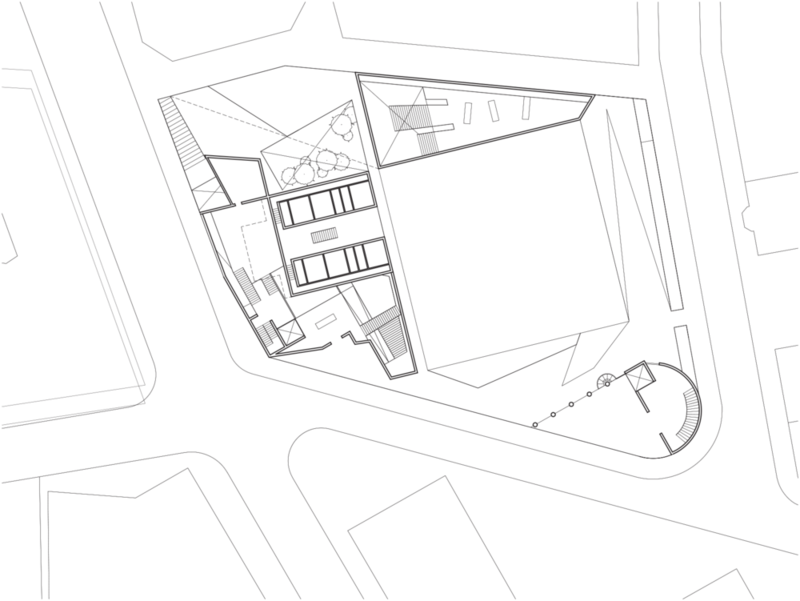 The conflicting geometries of the site and the regulations of the square arena added a puzzle-like quality to the demanding program. The presence of the arena within the complex creates a center about which program is oriented, the circulation route now becomes an enhanced path genuflecting around the pristine voided greens. Viewing areas for the lawn are located throughout the complex linking each function to the central purpose of the lawn bowling arena. 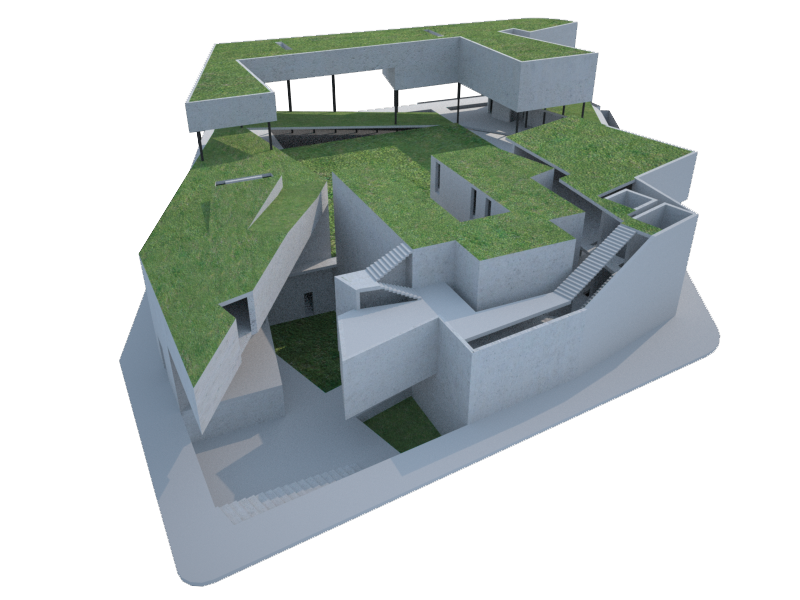 The dimensions of the lawn effect the usable square footage, consequently the program begins to take form wherever possible with parking and performance stage located underneath. The more privatized program of day-care and housing are located opposite the museum and are elevated above the street level allowing the urban landscape to flow uninterrupted. The ground plane mediates throughout the project burying some program beneath grade. The edge conditions of the playing field and the surrounding urban fabric present themselves as a priority spot for the program to nestle. The perfectly square bowling lawn grabs attention as a pure platonic plane a midst a labyrinth of geometric forms that work to pay homage to the integrity of the field as well as the historical urban fabric. The Public program mediates between these two edge conditions becoming permeable at times and reorienting at others. A series of public spaces situate themselves in a spiral about the lawn bowling court making the entire structure and viewing platform for the primal activities of the complex. Program connections and privacy are carefully considered as a consequence of the addition of the public park meandering throughout the project.